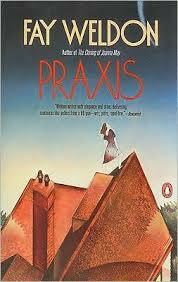 What did I not enjoy about Praxis? Basically, it felt really dated to me. This is a book from the “consciousness-raising” era of women’s lit. The era in which Doris Lessing (whether she intended it or not) and Marilyn French were all the rage. I loved some of those books – yup, my consciousness was raised – but that only goes so far. The book is probably okay to read as history – a peek into the times and so on. I doubt young women of today would understand what it was about – the societal oppression of women being entirely blamed on men and the women who were seriously damaged and those who went along – but what choice was there?